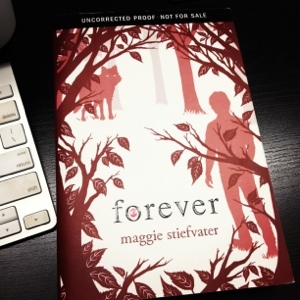 I received a copy of an uncorrected proof of Forever by Maggie Stiefvater from a wonderful coworker! So now I have my first book to reread! That’s another “bookish resolution” that I had! So far 2013 is looking grand! How’re you guys coming along with your resolutions?